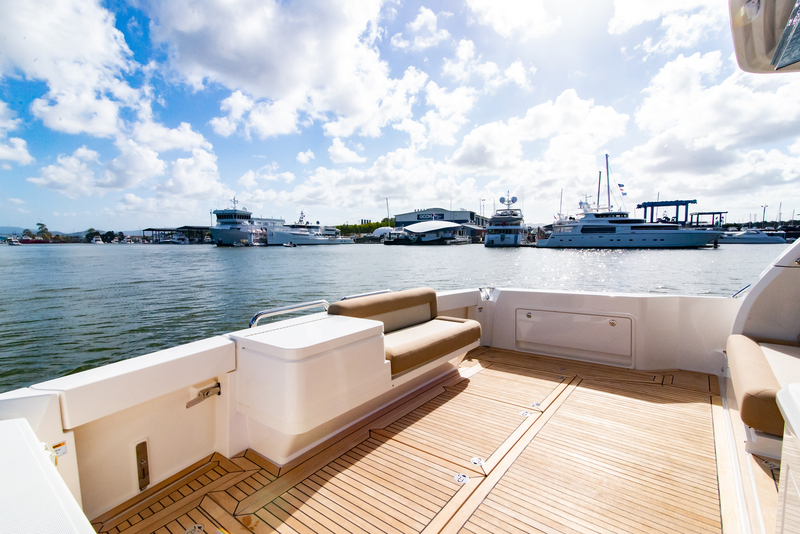 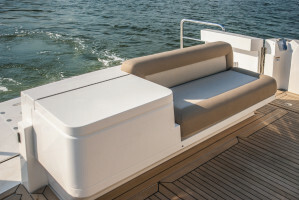 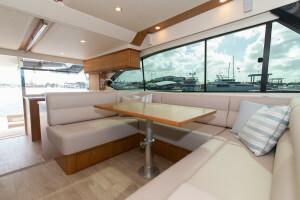 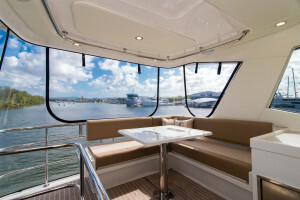 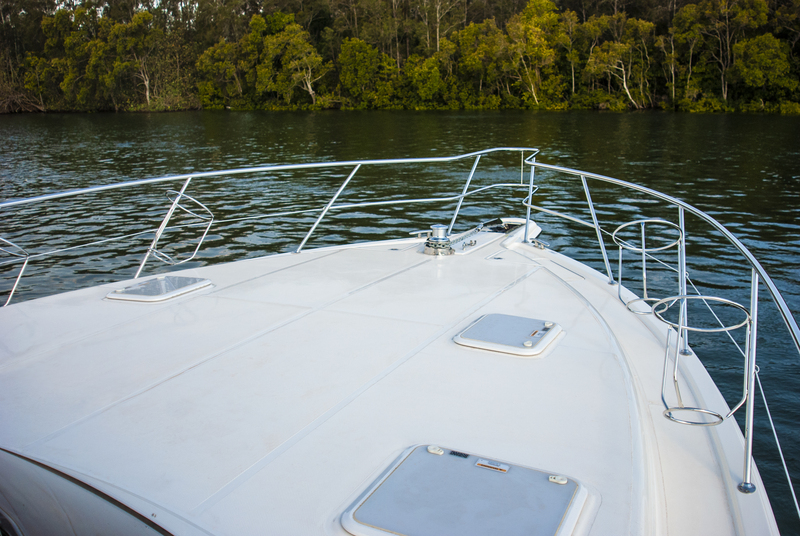 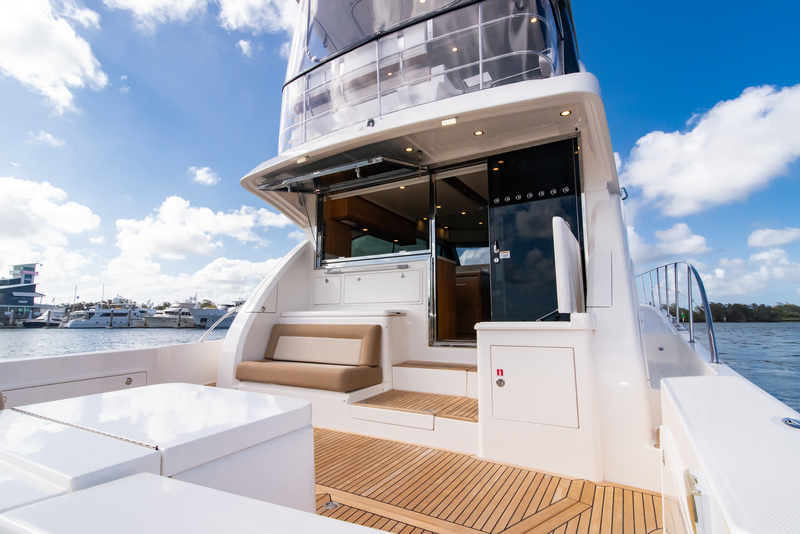 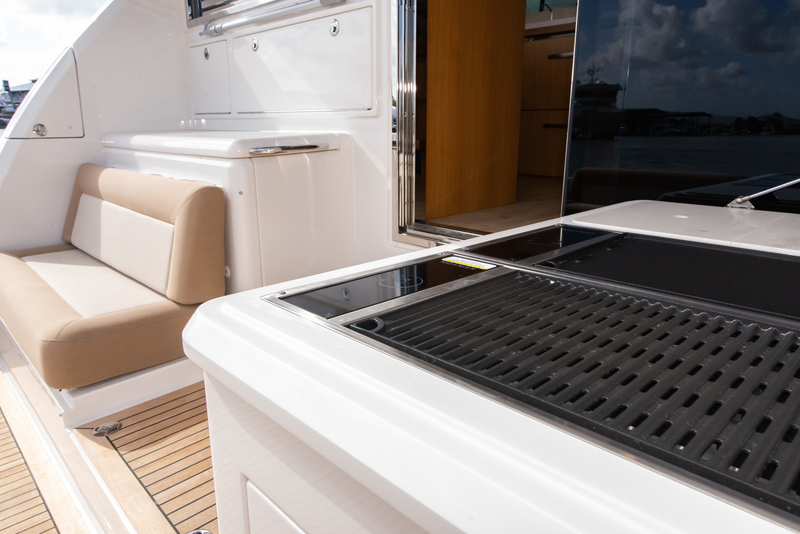 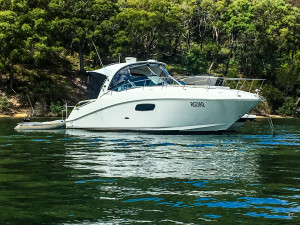 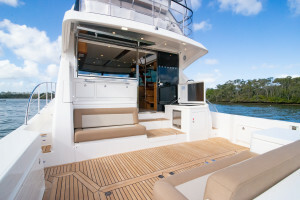 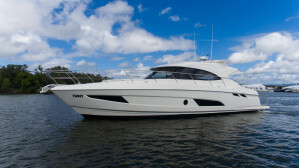 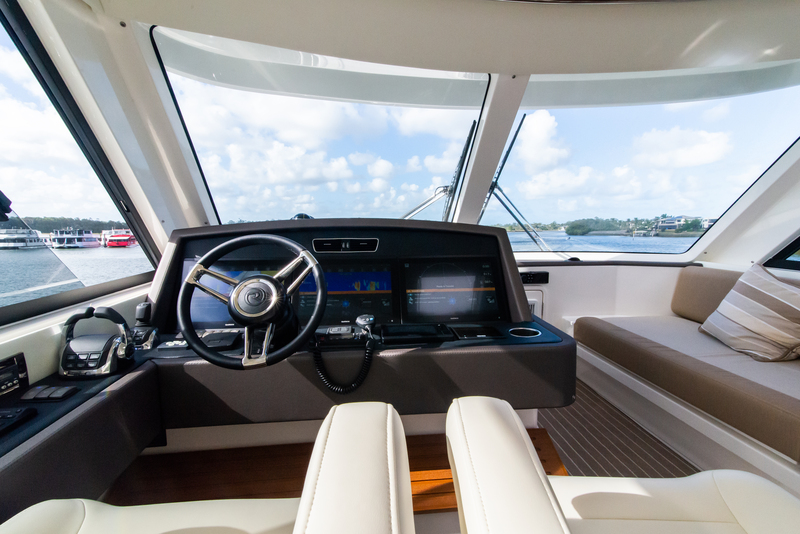 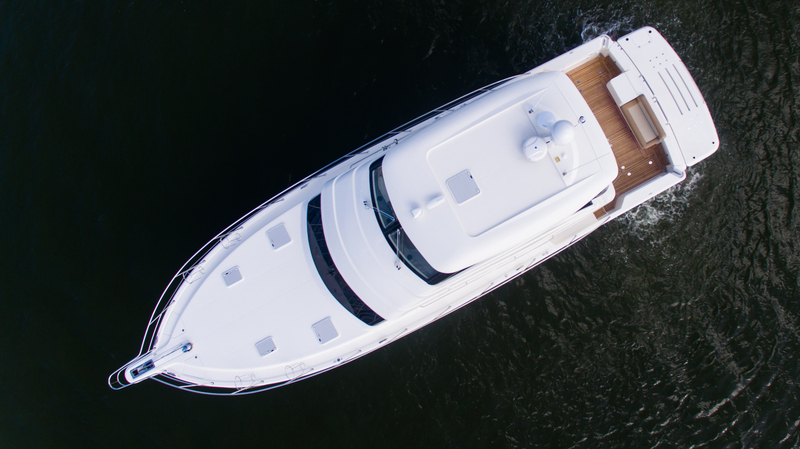 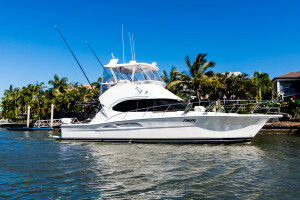 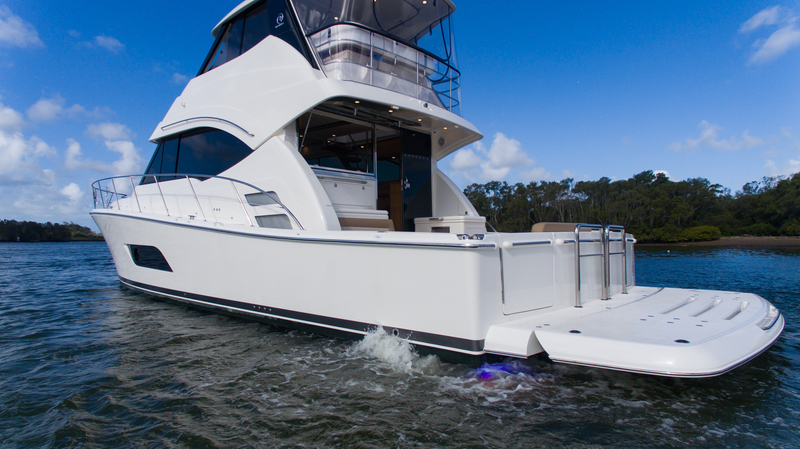 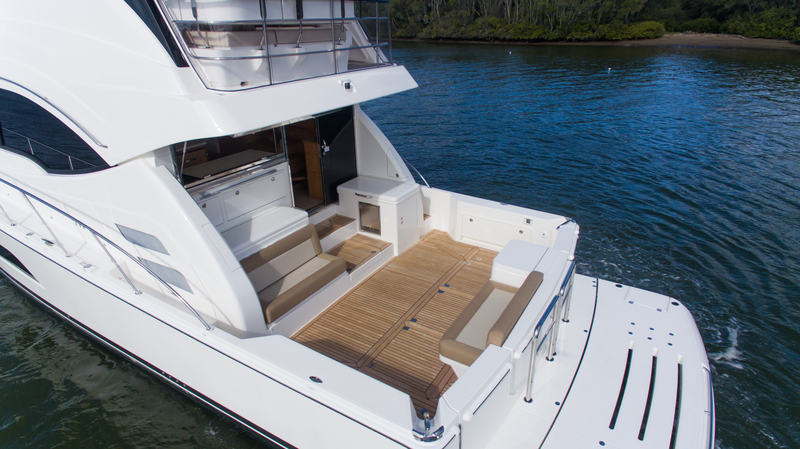 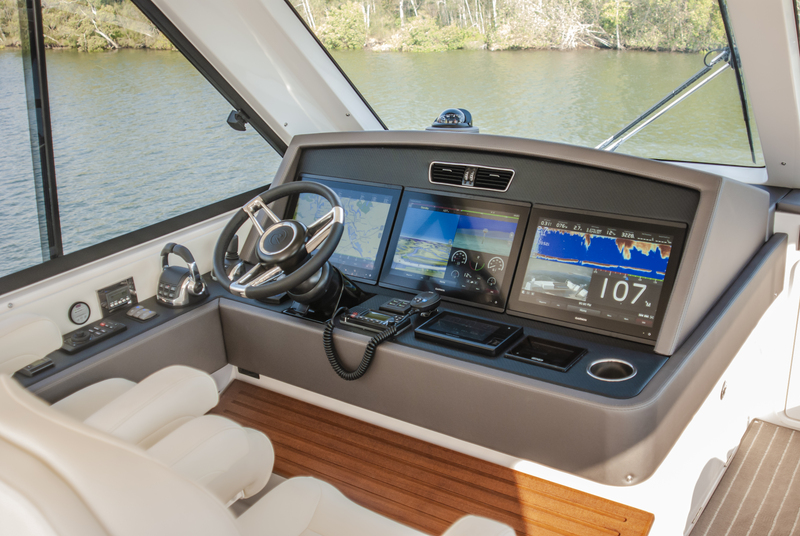 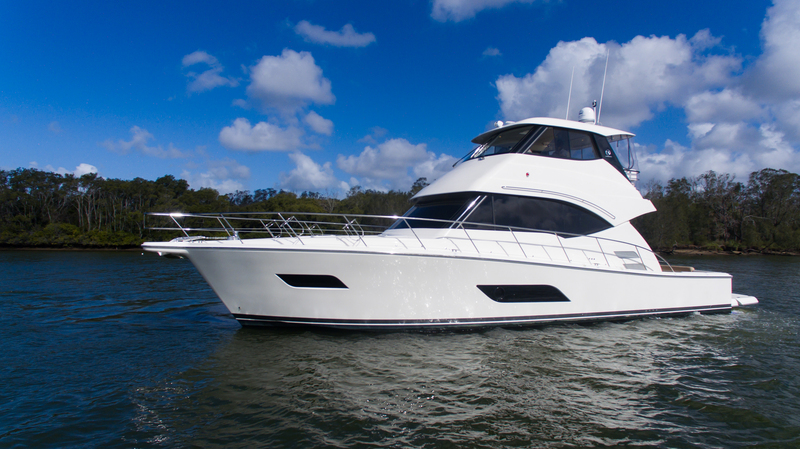 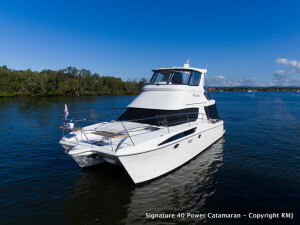 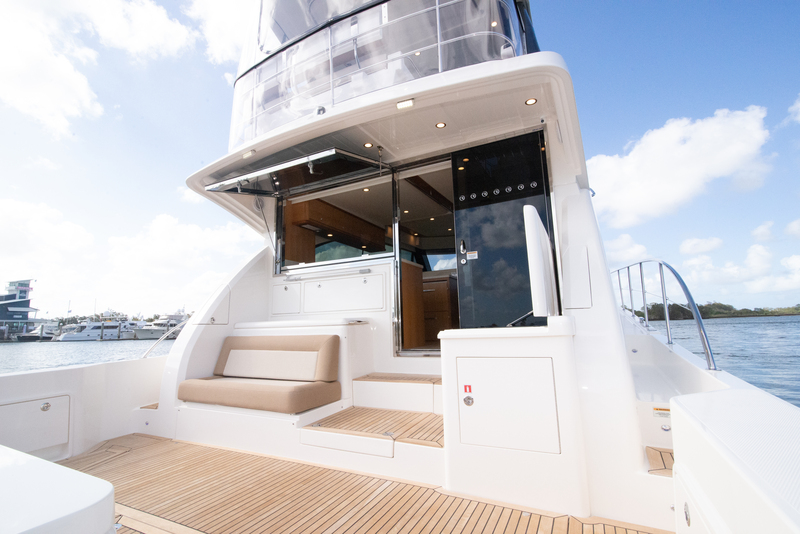 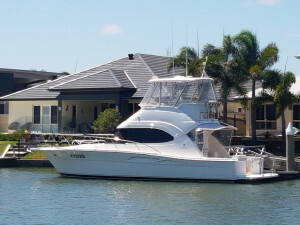 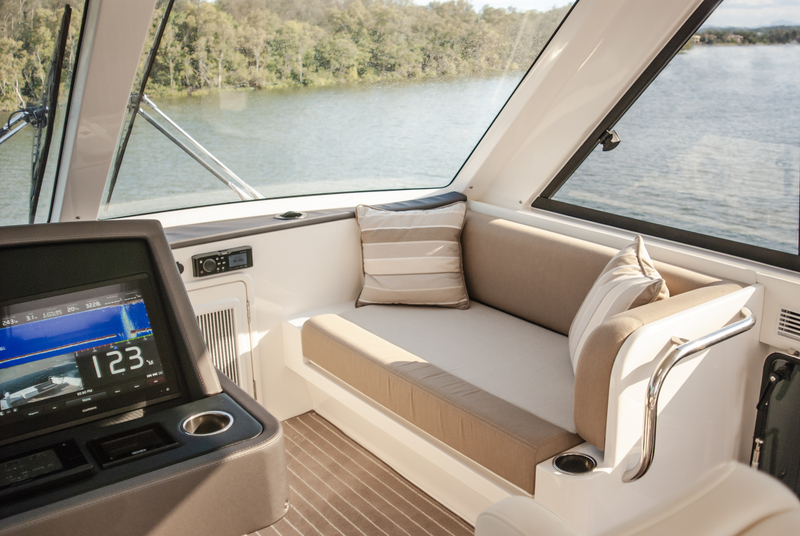 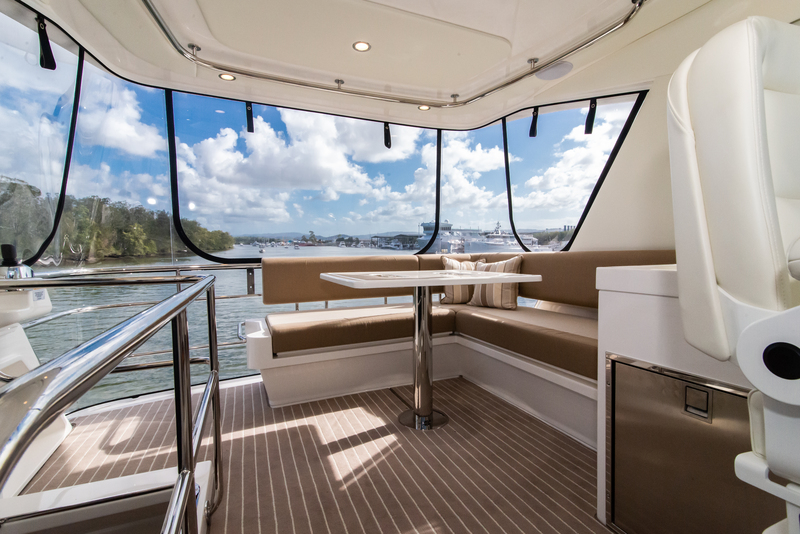 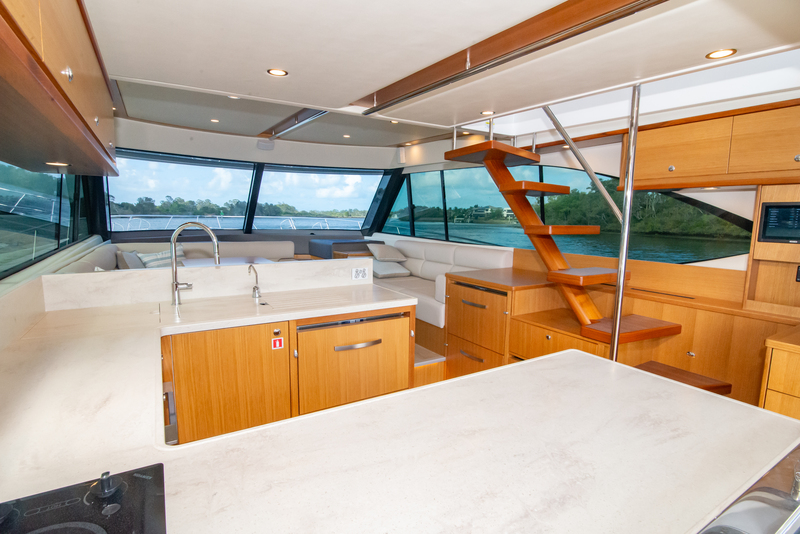 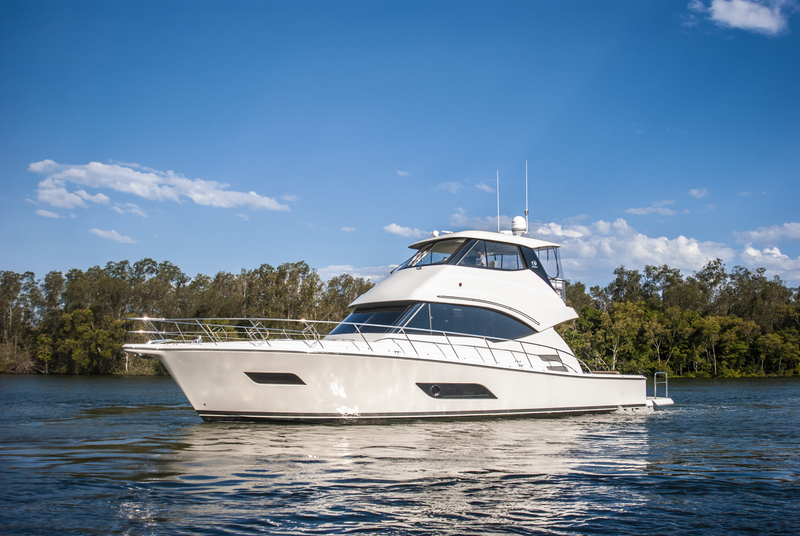 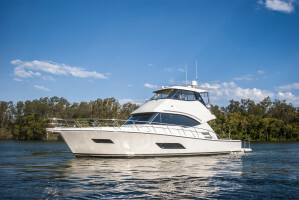 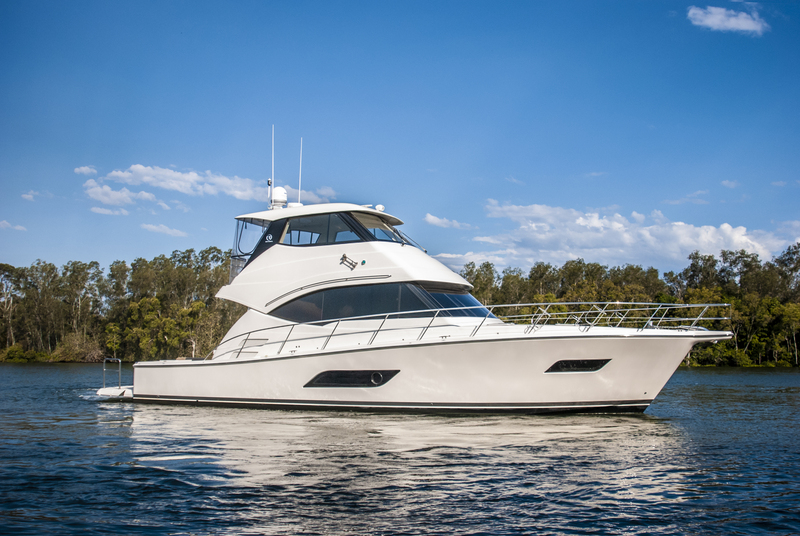 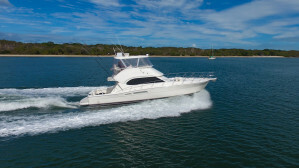 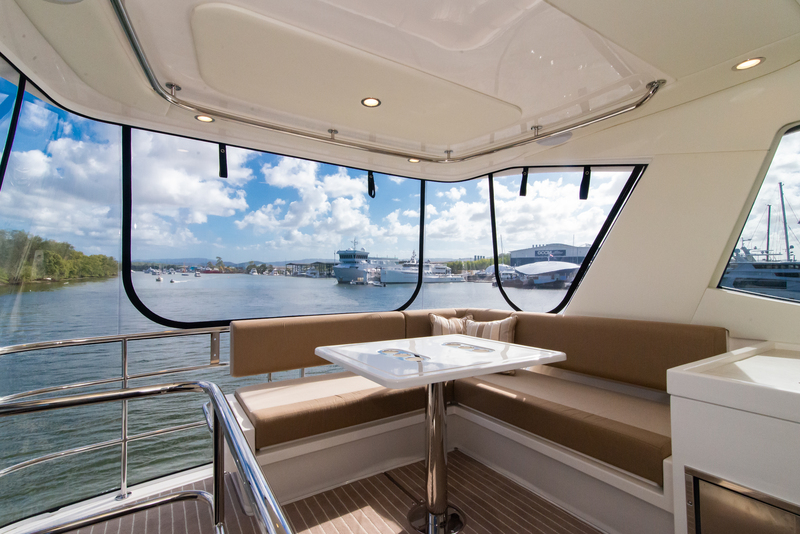 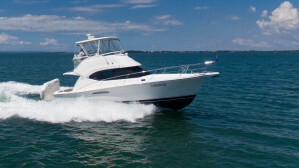 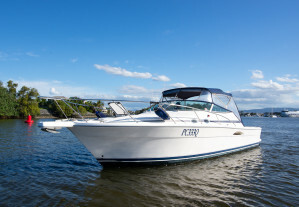 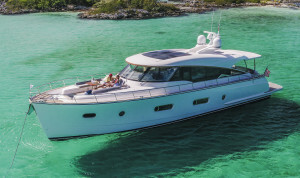 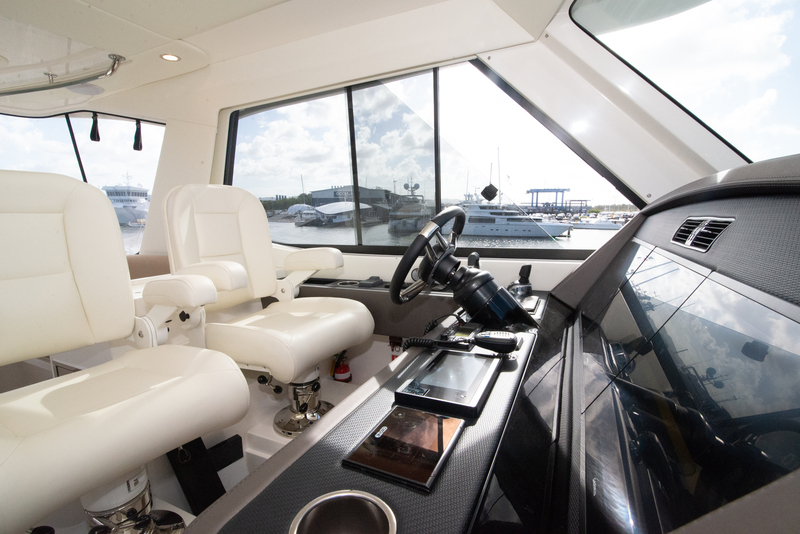 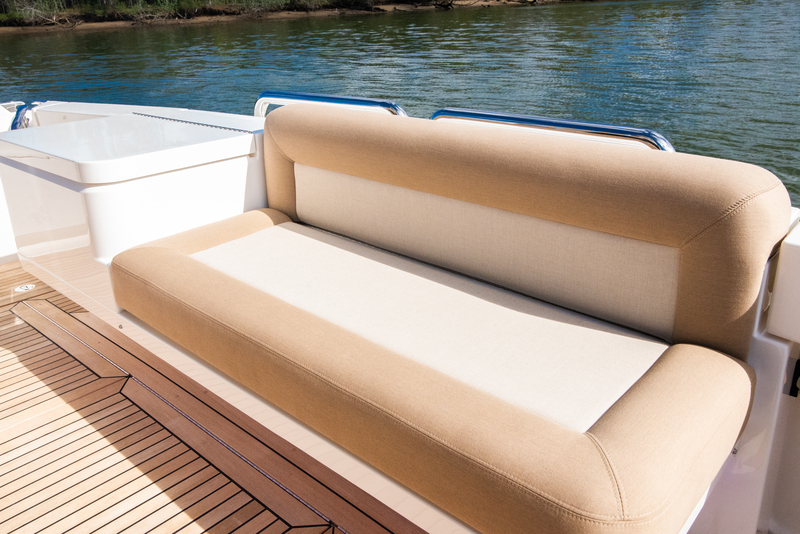 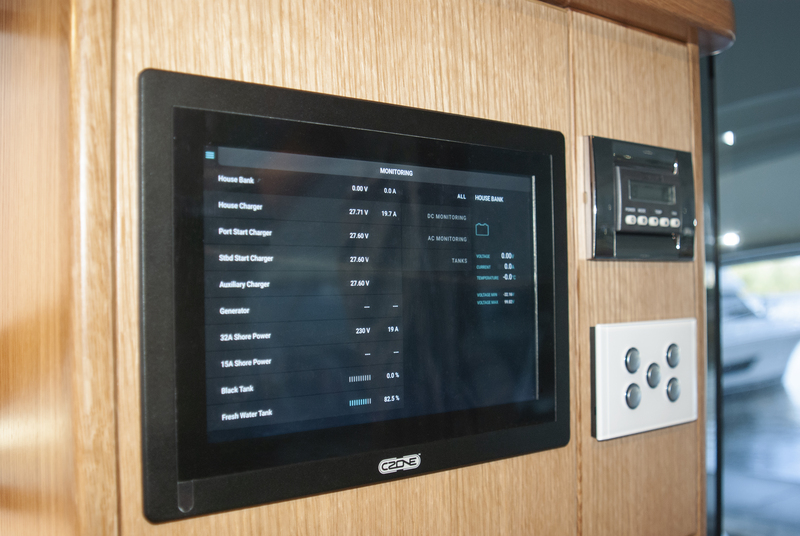 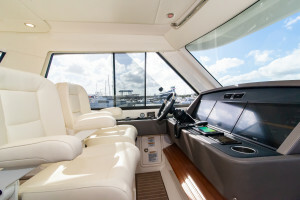 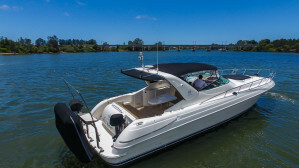 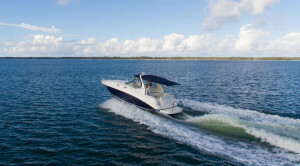 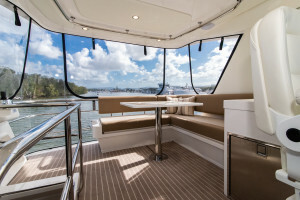 A rare opportunity to purchase a brand new 2019 Riviera 52 Enclosed Flybridge, and take delivery immediately. Powered by twin Volvo IPS 950 Diesel (533kw/725hp) including low speed mode, DPS, Volvo Autopilot, ACP, line cutters, twin lever electronic controls (helm) and joystick controls 2x (helm and cockpit). Also included: Galleyware Package and Bathware Package. 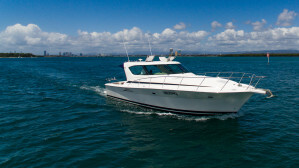 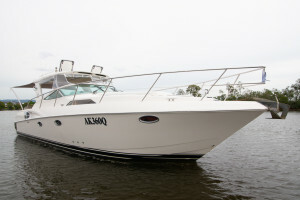 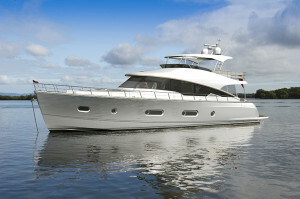 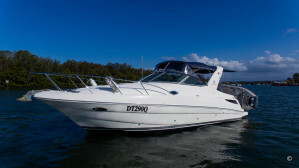 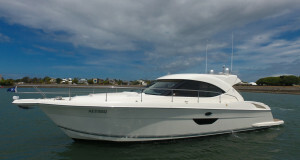 This boat is currently on our undercover marina at the home of Riviera, available for private inspections. 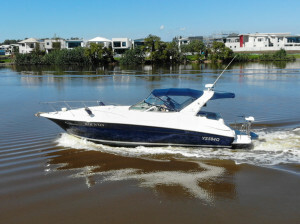 Advertised price is ex-factory, and excludes dealer delivery. 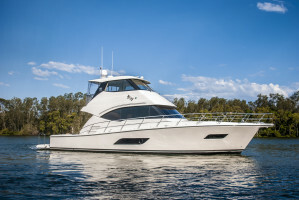 Contact one of the team from the sales office based at the home of Riviera to step aboard. 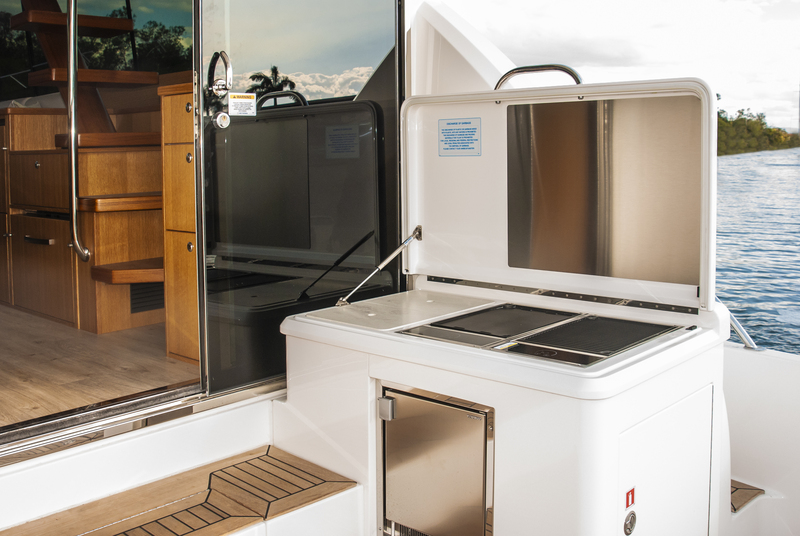 Engine Room : Excellent access and room around engines. 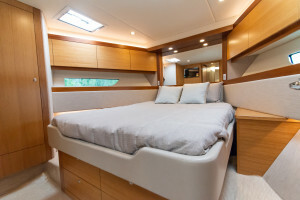 Accomodation Notes : 3 Cabin layout. 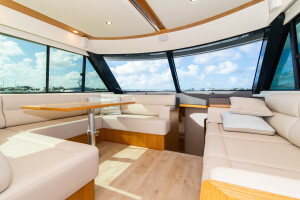 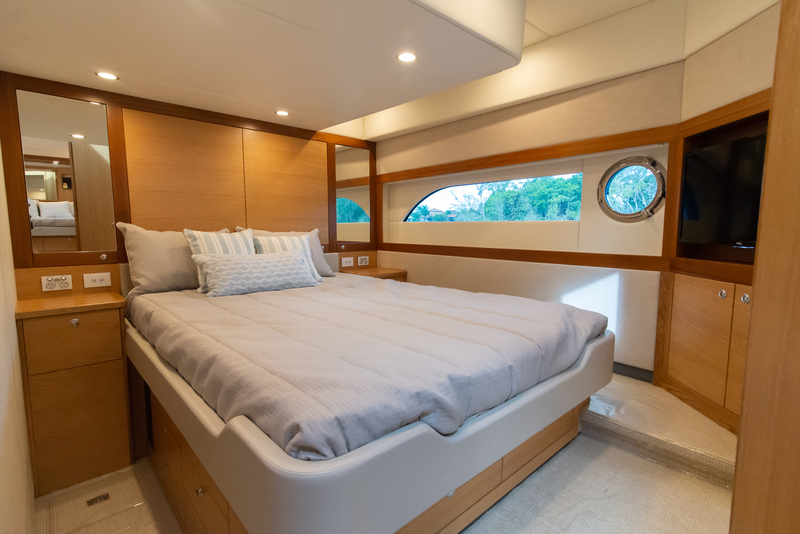 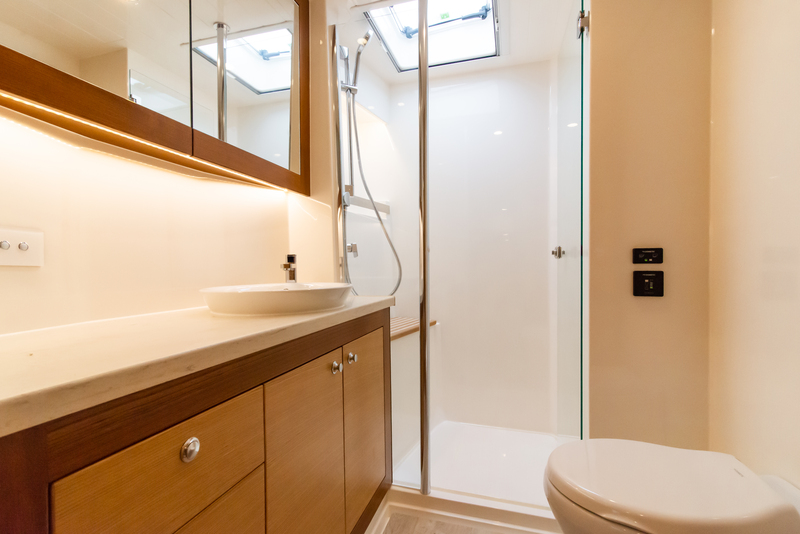 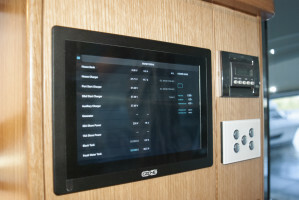 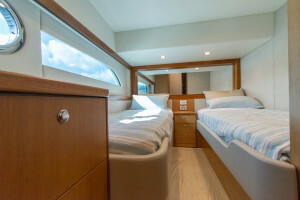 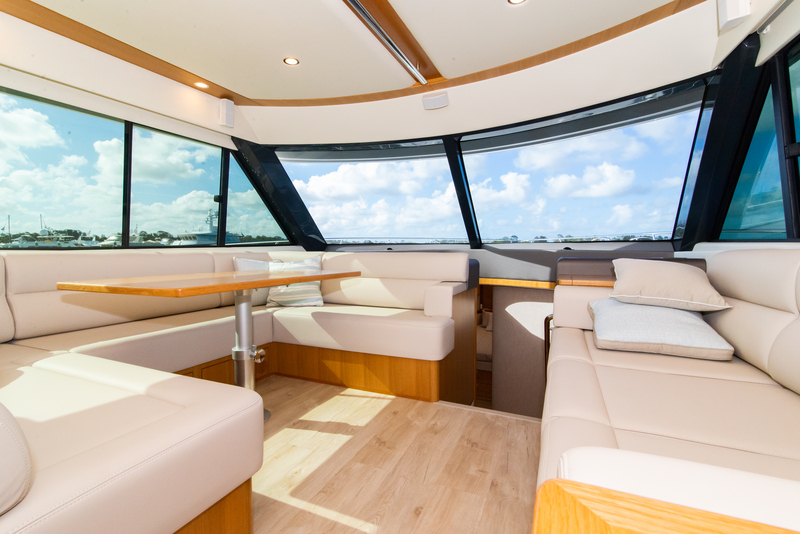 Master cabin with ensuite port side, guest cabin with two singles starboard side, forward cabin with island bed and ensuite. 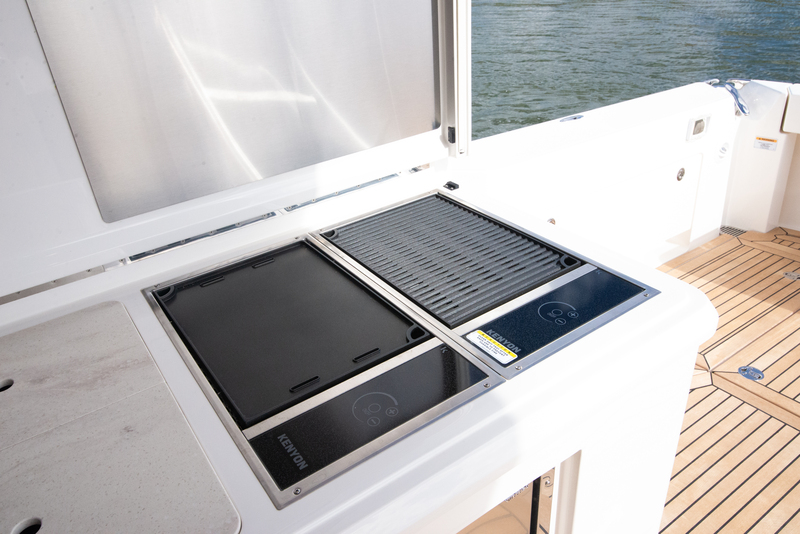 Stove : 2 burner electric cooktop. 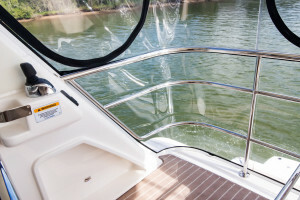 Anchor / Winch : Anchor - stainless steel 35kg (77lbs) ultra anchor, 70m (230ft) of 10mm (3/8'') galvanised chain, Muir Anchor Winch with chain counter to helm. 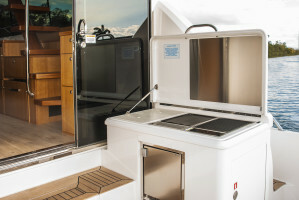 Remarks : Hydraulic lift for GRP swim platform (up/down, 350kg with fixed hob section, including reinforcement of transom (boat trim & performance will be affected), Cameras to Engine Room, Cockpit, anchor and saloon.